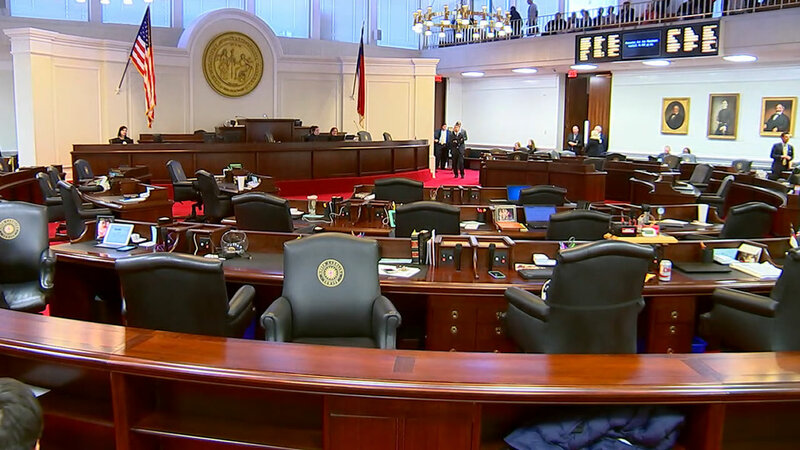 DURHAM, North Carolina (WTVD) -- Governor Roy Cooper's budget hits the Senate floor Wednesday morning. The budget includes a boost in pay for teachers and addresses $700 million in immediate needs for education. The budget heads to the senate for consideration just a week after senate leaders unveiled a plan to reduce taxes by a billion dollars over the next 2 years. Meanwhile, two state lawmakers from either side of the aisle are working to make sure a budget gets passed this year. The "No Budget, No Pay Act" is also hitting the senate floor Wednesday. If it passes it would require that lawmakers approve a budget by June 30th or their pay will be held in escrow.